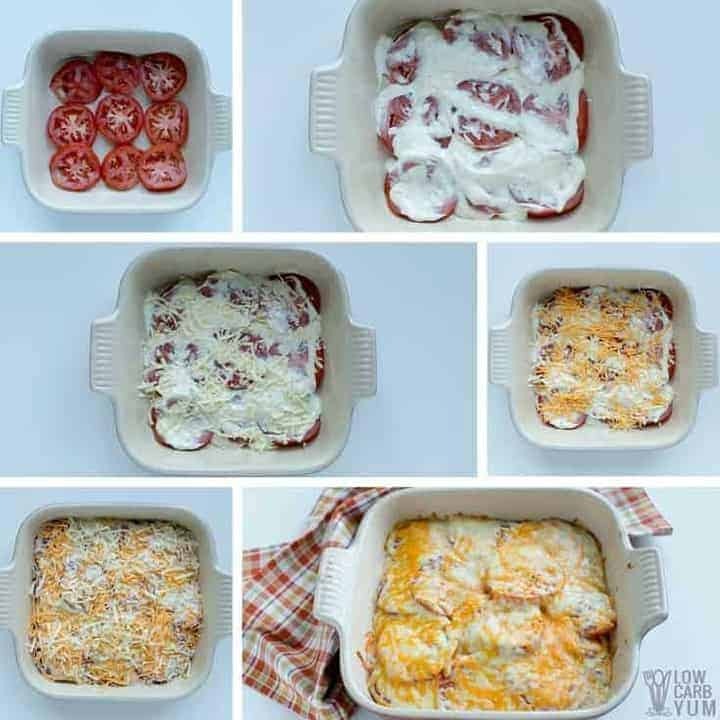 A simple tomato casserole dish is a fantastic way to enjoy fresh tomatoes from the garden. 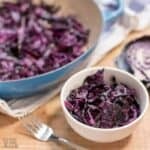 It’s a tasty summer side dish to serve along with grilled meat. The weather has finally become more spring like with a few summery days sprinkled in. So I’m starting to plan out the vegetable garden. We don’t put the plants in the ground until after Memorial Day. Before that time, there’s still the possibility of frost. My husband always gets way more tomato plants than we need. 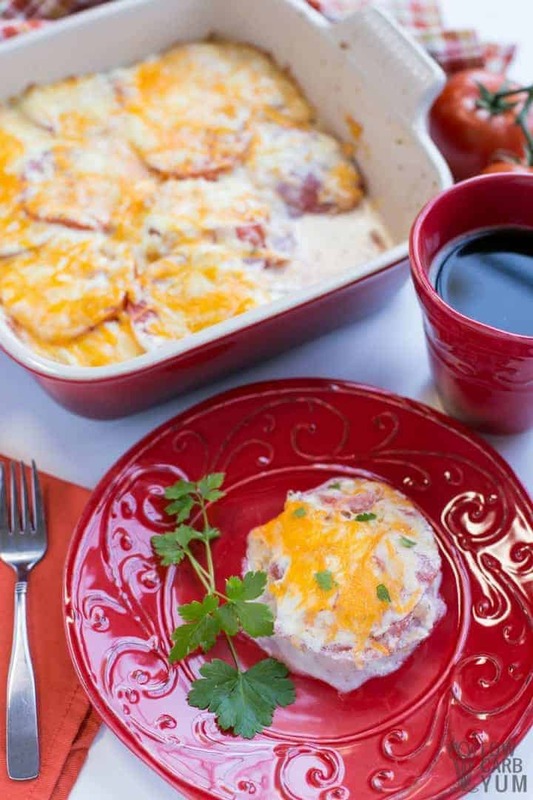 That’s why I’m getting recipes like this cheesy ranch tomato casserole dish ready. 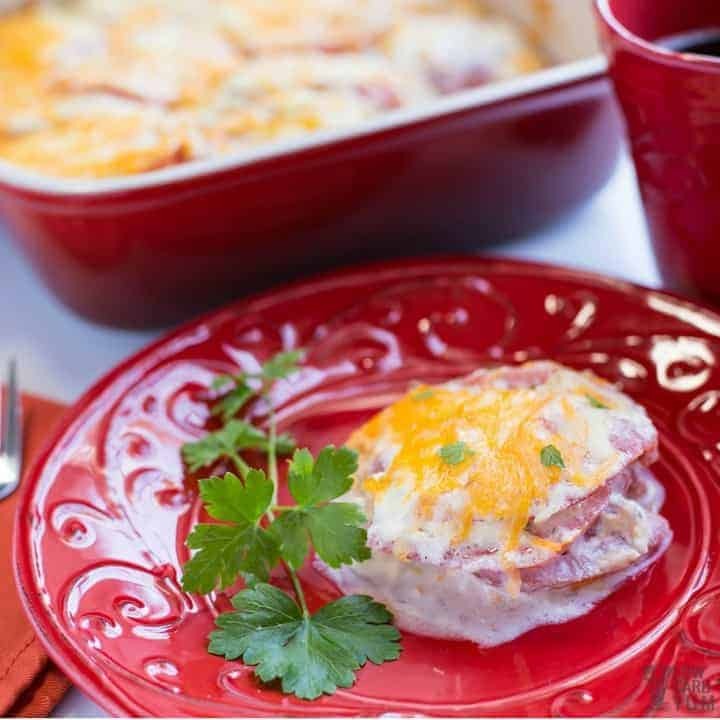 The idea for this simple summer casserole came from a recent visit to a local casino buffet. We went there for breakfast and a gluten free cheesy ranch flavored casserole with tomatoes was on the menu. My son was all over the casserole, but I thought it was a bit too cheesy. And the ranch flavor wasn’t that strong. So I decided to make my own cheesy tomato casserole dish at home using my low carb ranch dressing recipe that I made without the dill. When compared to the casserole at the casino, I liked mine better because it was a bit less cheesy and had more ranch flavor. I’m thinking a little no sugar added bacon would be a great add in to the dish. That would give it a bit more flavor. Of course, it would then be a bacon ranch casserole. But you can’t go wrong adding bacon into a savory dish. Heck, you can even add bacon to sweet foods too. In fact, chocolate covered bacon is one of my favorites treats. Have you tried it? It’s super easy to make. 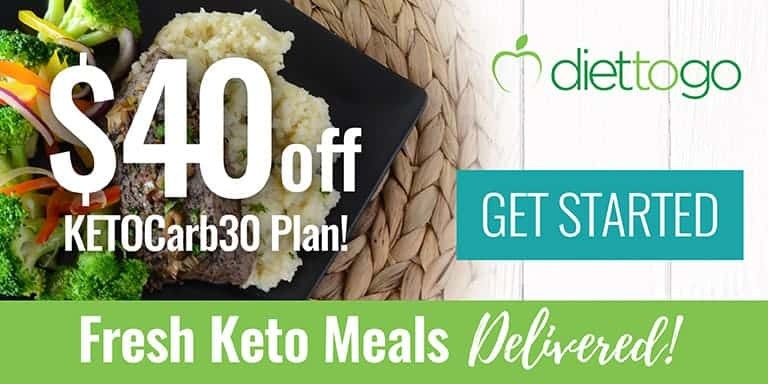 Just take some low carb chocolate and melt it down. Then dip in some crisp cooked bacon. When I think of bacon and tomato, the thought of a delicious BLT typically comes to mind. That’s why I know it would be a great add. I’ll try adding in chopped bacon the next time I make this ranch tomato casserole dish. But for now, I’ll add it as an optional ingredient in the recipe card. It’s still too early in the season for us to have a bumper crop of tomatoes. I had to buy the vine ripened kind at the grocery store. Having a summer garden is definitely a lot of work. And it doesn’t really seem to be cost effective when you add all the time in. However, it’s just so convenient to walk in the backyard during summer and harvest some produce. The vegetables also seem to taste better when they are home grown. That could be psychological, but nonetheless, they are the freshest. When I don’t want to turn on the oven during summer to bake a casserole, I’ve been using my casserole Crock Pot. The crock is oven safe too. So, if I want to brown the top of the casserole, I’ll just stick it in the oven and broil for a minute or two. That way, it doesn’t add heat to the kitchen. 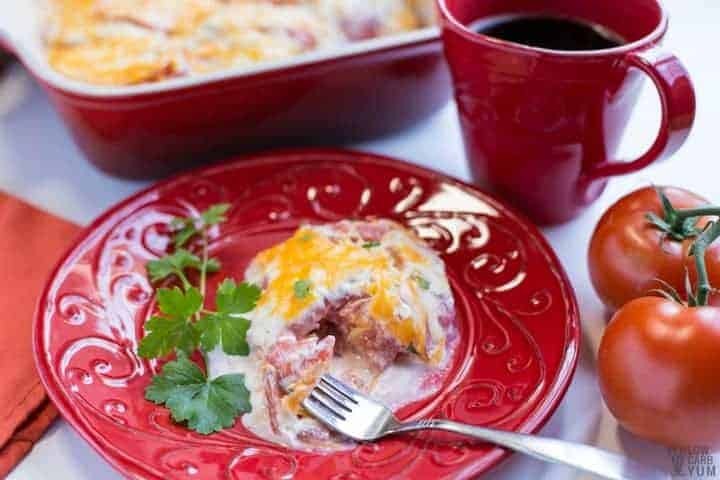 Since this cheesy tomato casserole dish is baked in a small square dish, I’d double the recipe to make it in a crock pot. 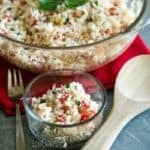 I’m thinking it would be perfect for a summer pot luck. If you want to learn more about the casserole crock pot, I wrote more about it on my ground beef eggplant casserole post. It’s one of my favorite appliances for summer. 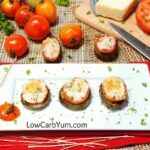 Some of my favorite ways to use tomatoes include stuffed tomatoes and as appetizers with pulled pork or just mozzarella. 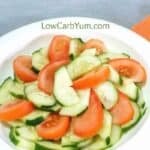 I’m also into eating cucumber tomato salad in summer. If we get a lot of ripe tomatoes at once, I like to make my homemade no sugar added pizza sauce. 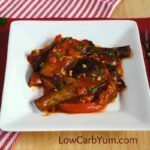 Low carb marinara sauce is another great way to use up tomatoes. 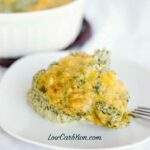 I have so many low carb casserole recipes, that I’m looking to put them all together in an eBook or paperback book. They all tend to get lost on the blog. 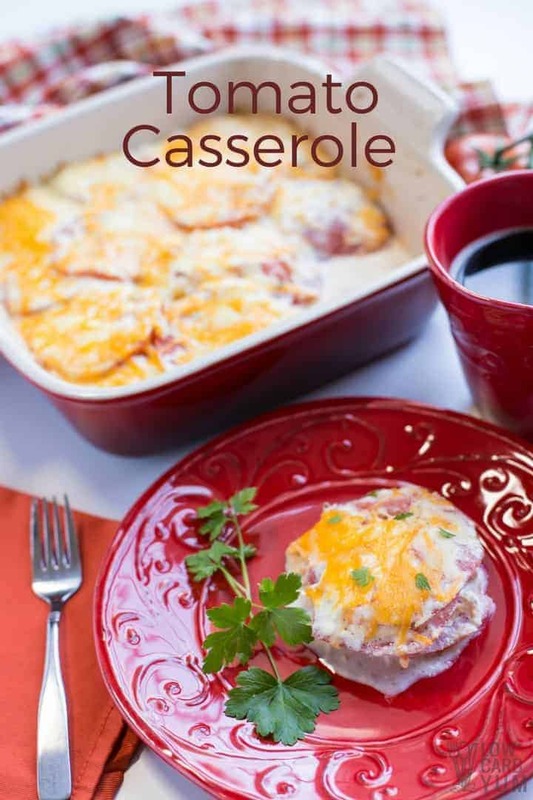 I’d definitely include this tomato casserole dish recipe in that cookbook. Hopefully, I’ll get the time to put a few cookbooks together this year. 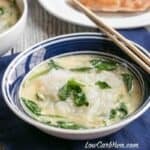 I’ve been blogging for almost eight years and still haven’t published a cookbook. It’s something that’s way overdue. But, it’s tough to fit in while managing two blogs. 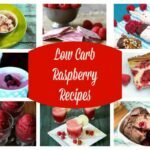 In addition to this low carb recipe blog, I also work on All Natural Ideas which is a site I started a few years ago to teach my older kids about blogging. 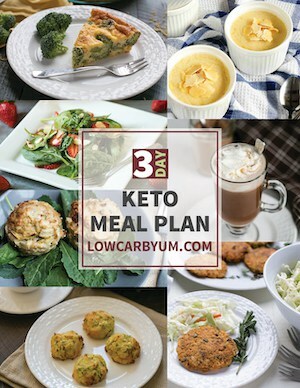 But that second blog has grown over the years and I feel like it doesn’t get the attention it deserves as most of my time is spent here at Low Carb Yum. 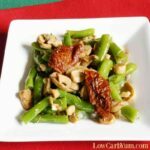 By the way, I also post some low carb recipes on the other blog too. So check those out as I’m planning to add even more in the future. A simple casserole to enjoy fresh tomatoes from the garden. 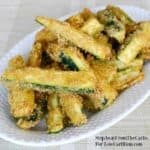 It's a tasty summer side dish to serve along with grilled meat. In an 8x8-inch baking pan, place a layer with 1/3 of the sliced tomatoes. Spread 1/3 cup of the ranch dressing over the tomatoes then sprinkle with 1/3 cup of each cheese and chopped bacon (if using). Repeat layers 3 times. 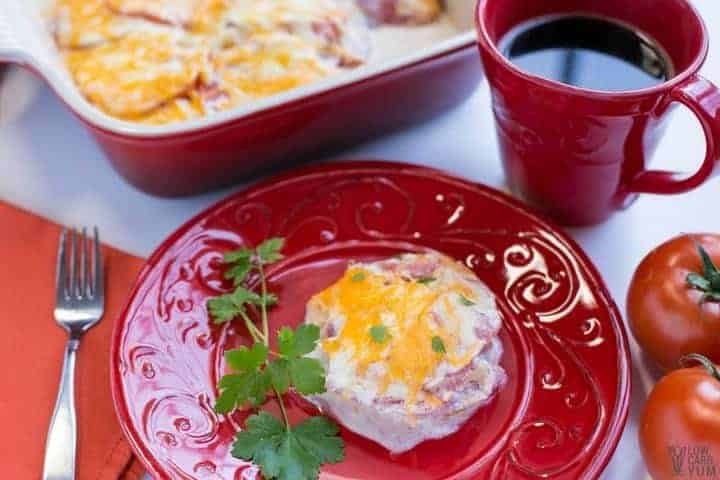 Bake at 350°F for about 25 minutes or until cheese is melted and casserole is hot.